Camel coat is amazing. I really want one.. Such a nice list ! Love the coat and the shoes ! Love those croc brogues- I can't believe they're Missguided! I've been on the hunt for a coat like this - it's perfect! 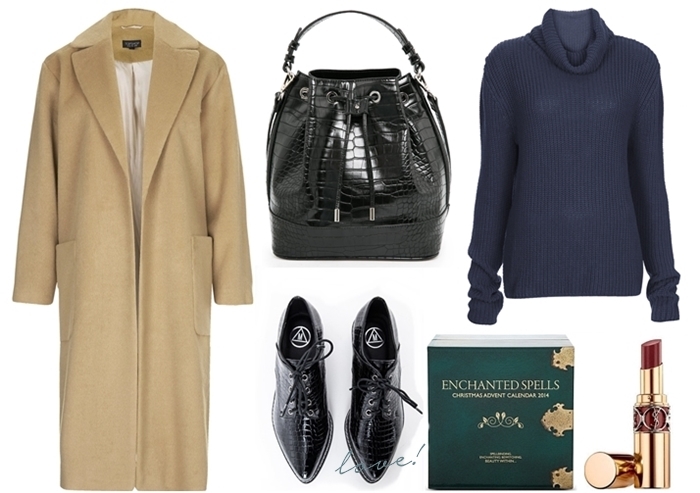 The coat and brogues . . . be mine!